Sailboat Hanse 415 named Marina Spirit One has been manufactured in 2017. Marina Spirit One is registered for 8 persons. Layout of the boat is 8. 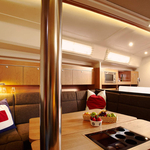 Hanse 415 Marina Spirit One has 3 bedrooms. For guests disposal there are 2 toilettes. You can fill the fuel tank with 115.00 l liters and in water tank it goes even 360.00 l liters. With engine Volvo 28 cv Marina Spirit One can sail really fast. 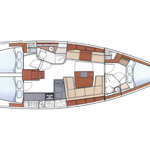 Marina Spirit One is 12.40 m long and 4.17 meters wide. Depth is 2.10 meters. 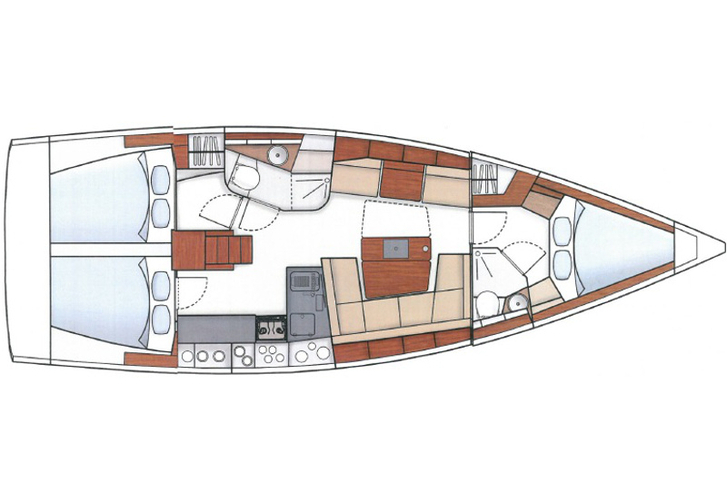 Yacht's equipment consists of : Autopilot, Gps plotter, Bimini top, Anchor electric windlass, Furling mainsail. . Deposit has value 2500.00 EUR. Choose our offer and spend great time on the deck of Marina Spirit One.